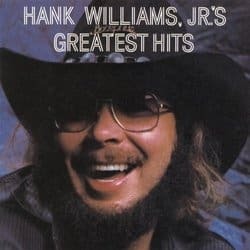 Country fried singer Hank Williams Jr's anti-gay, anti-Obama message should be included on his next greatest hits album. You'll recall that Williams compared our president to Adolf Hitler during a Fox News appearance last October. Well, he let loose even more vitriol earlier this month by describing Obama as a Muslim who "hates the U.S.," a remark that formed the foundation for his most recent incendiary comments. "We’ve got a Muslim for a President who hates cowboys, hates cowgirls, hates fishing, hates farming, loves gays, and we hate him!," Williams said at a concert Sunday. Well at least we know what tracks to play next time we want to end a party, right? In their report on that matter, the DMN says Williams' "mix of redneck politics and music has long been a big part of his appeal to some fans" but wished that his ecletic, varied musical style — his bold fusion of Southern rock, folk, blues and piano boogie — could be heard in his politicking. "It’s just too bad his open-minded approach to music doesn’t carry over to the rest of his brain," wrote reporter Thor Christensen. He also says Williams' homophobic, xenophobic remarks were met with a "less-than-unanimous cheer".